You all know how much I love liquid lipsticks, and so the first thing I'll say about this one is that it does not dry matte. The formula is quite thick, and it continues to have a sheen to it throughout wear. The wear time is pretty good, and when you do have to reapply, it isn't difficult or look too thick, which a more matte liquid lip may do. In terms of ingredients, it contains avocado oil, which is a fantastic anti-ageing ingredient, and helps with moisturising - it can penetrate deeper into the skin than most other oils. This, along with the Vitamin E which is also a great moisturising ingredient, probably shows why it doesn't dry matte, and also why it is a better options for those with drier lips, or more mature skin as it won't accentuate lines or dryness, whilst still giving you the longevity of a liquid lipstick. It also contains Sunflower Oil, which is also fantastic for moisturising, as it is naturally emollient and therefore helps with moisture retention. Again, it is also great for anti-ageing. 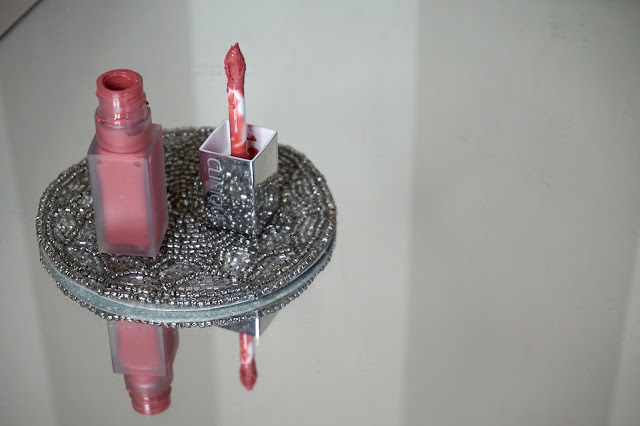 It also has a built in primer which should also help with the longevity of the lip colour. Overall, I do absolutely love this lip colour. 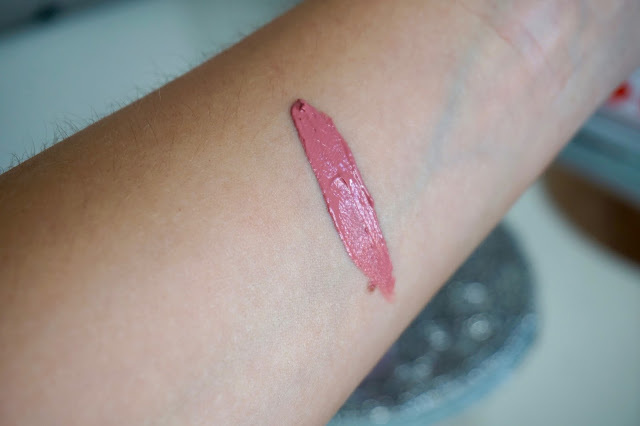 It's a very thick formula, and it doesn't dry matte, but it's definitely something I'll be wearing a lot (especially when I need a break from super drying matte lips! ).